WASHINGTON, DC, December 7, 2010 (ENS) – The 50th Anniversary of the Arctic National Wildlife Refuge, marked Monday with a Presidential Proclamation, opened again the controversy over oil and gas drilling in the vast refuge that encompasses 19.6 million acres of pristine wilderness and wildlife habitat along the North Slope of Alaska. 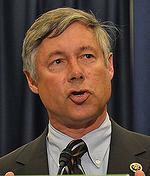 While Obama and the Democrats as well as conservationists want to permanently protect the refuge from drilling, the newly named chairman of the House Energy and Commerce Committee, Republican Congressman Fred Upton of Michigan, is urging the President to allow drilling rigs into the refuge. Upton continued, “Of course, I do not need to remind you that the unemployment rate is too high and our fiscal situation is dire. Opening up ANWR would help alleviate these economic problems, as detailed in an ICF International Study prepared for the American Petroleum Institute published in December of 2008. That study concluded that allowing exploration of ANWR would lead to approximately 62,000 additional jobs in the year 2030 alone. During the presidency of George W. Bush, Republicans repeatedly attempted to open the refuge to oil and gas drilling, although the refuge was created by a Republican president. In 1980, under President Jimmy Carter, the area was renamed the Arctic National Wildlife Refuge and expanded to further recognize and protect the variety of wildlife in the area. For 50 years, the U.S. 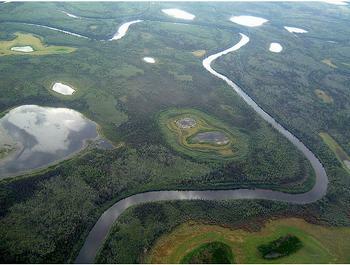 Fish and Wildlife Service has managed the area, now the largest wildlife refuge in the United States. Today, President of the League of Conservation Voters Gene Karpinski called for President Obama to permanently protect the Arctic National Wildlife Refuge by declaring it to be a national monument. 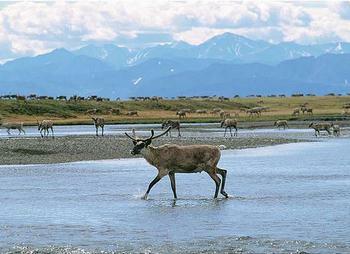 “At risk is the biological heart of the Arctic Refuge, the 1.5 million acre Coastal Plain. Even though it includes some of the best polar bear denning and caribou calving habitat on the entire North Slope, this vital area lacks permanent protection,” Yarnold said. In response to a Sierra Club campaign, more than 45,000 people have contacted President Obama and asked him to protect this rare and precious wild place by naming it a national monument. Throughout December, the Sierra Club will continue its “I Heart the Arctic” campaign to celebrate the anniversary and call for a national monument. In addition to reaching out to millions of activists, the campaign has included anniversary parties in every state, a new website, online ads, a rally with members of Congress in Washington, and most recently, a video featuring young Arctic wildlife. On December 1, scientists and natural resource managers from the United States and Canada sent a letter to President Obama urging him to safeguard the the Arctic National Wildlife Refuge’s Coastal Plain. The 170 scientists encouraged the President to act this year to ensure permanent protections for the Arctic Refuge from oil and gas development and exploration.